U.S. manager Gregg Berhalter. Getty Images. We had the USMNT manager Gregg Berhalter on the show Wednesday morning. What a great guy and get for the show. The U.S. team will be here taking on Chile on March 26. Hopefully it will go better than the last time they were here. Houston's soccer ambassador Glenn Davis opened a press conference later that day by saying that it was an historic morning. 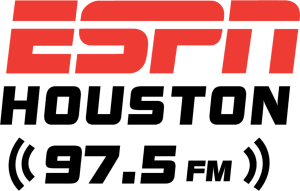 Never before had a Houston sports radio show done three straight segments on soccer. Glenn called me that night and was gushing about how great it was. There may not be a nicer guy in the sports world. My soccer knowledge is extremely limited and you have to be very careful around soccer guy (not Glenn Davis. He's too nice to be a jerk. I'm talking about soccer snob) because he will light you up if you take the tiniest misstep. Do not call it a field or a game or ever say zero. Soccer snob hates zero. Zero must have done something ugly to his sister because he doesn't want anything to do with zero. My knowledge of the game is basically 5-year old soccer. My son JT played it then but the other parents asked us to stop bringing him because all he did was run around and knock over the little girls. That is not an exaggeration. He did grow up on the video game FIFA though and became a huge Cristiano Ronaldo fan so we watched a bunch of Real Madrid games. We also get into the World Cup every four years. I've been to a few Dynamo games. BBVA is one of our best stadiums. Their first manager Dominic Kinnear was a great guy. He was on the show a bunch and liked to give us the business. Then we had their next manager Owen Coyle on on a weekly basis. His Irish accent was so thick that I couldn't understand anything he said. Our producer Del wrote the questions for me. I'd ask a question then wait until he finished and ask the next. He could have threatened to kill me for all I knew. Couldn't understand a word. I went and watched our national team play Argentina at NRG a few years ago. That wasn't very exciting. We didn't stand a chance. The difference between the two programs was obvious even to a soccer moron like me. It really wasn't all that surprising that the U.S. didn't qualify for the World Cup. We weren't very good. And here we are: a new coach and a couple of good young players. Will it make a difference? I hope so. Every four years when the World Cup comes around I hear how soccer is going to take over the States; how baseball and basketball need to step it up or soccer will pass them in popularity. And then the World Cup ends and we're back to watching baseball and basketball again and soccer takes its place in the background. That the MLS is more or less a second division for soccer doesn't help. We are a major league country. Don't ask us to watch minor league anything. We won't. We did watch the Dynamo when they were winning titles but they haven't been doing that for a while. They sure could use a star or two. They haven't really had anyone recognizable since Brian Ching. They had a full house for the Tigres game this week. Unfortunately they were mostly all Tigres fans. That's got to change. A really good U.S. team can change that. We're waiting for soccer to explode here but the only way that's going to happen is if our team makes a deep run in the World Cup. Give us something to cheer about and we will. Soccer guy might not like us all jumping on the bandwagon but I know Glenn Davis won't mind. He works tirelessly to promote the sport he loves in a city that just hasn't been all that receptive lately. We will be though if Gregg Berhalter just gives us a reason to.